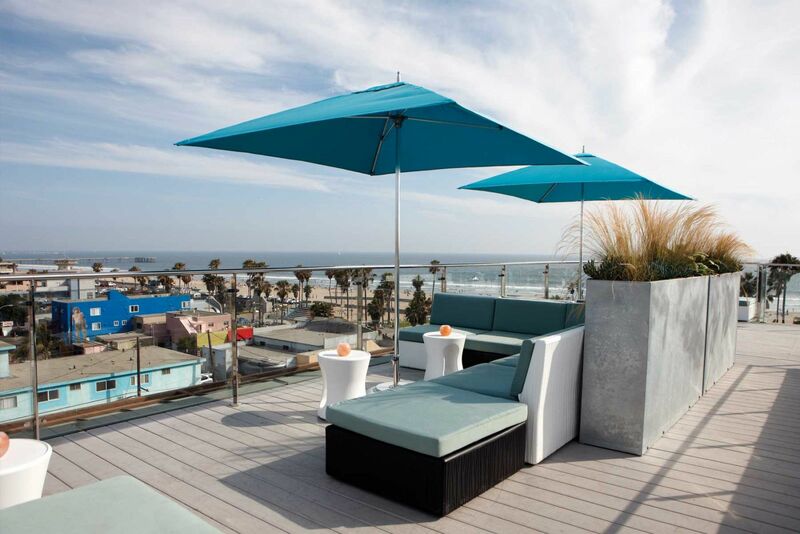 Soak Up Los Angeles’ Endless Summer At One Of These Hot Rooftop Bars! 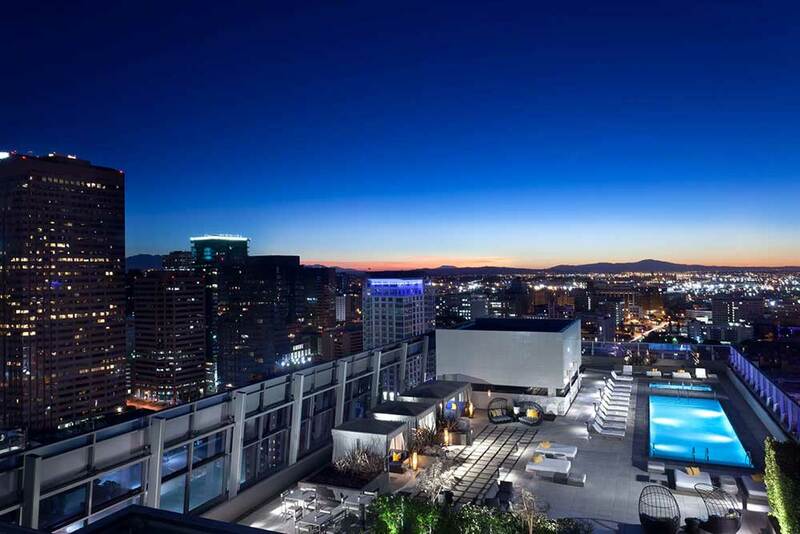 From dazzling views of the city to sweeping vistas of the Pacific Ocean, there is nothing quite like spending a warm summer day or night with friends and loved-ones at one of Los Angeles’ coolest rooftops! Here are a few our favorites where you can catch us lounging by the pool, sipping a cold beverage and taking in the sights! 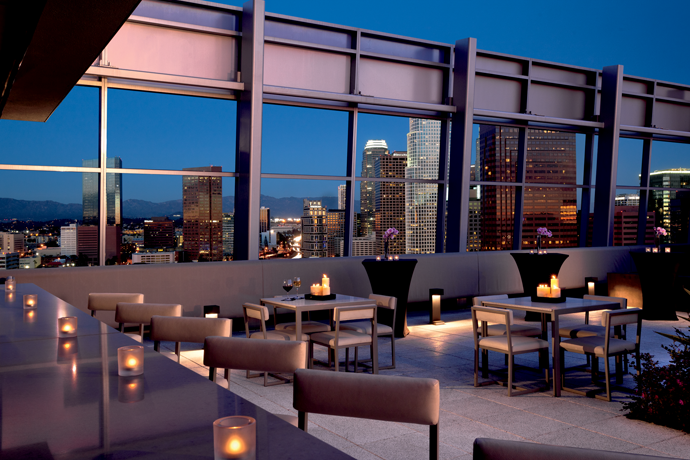 Usually only open to hotel guests and residents of the Ritz-Carlton Los Angeles, WP24 by Wolfgang Puck Rooftop Patio will open to the public on the weekends from Memorial Day through August. Check out beautiful views of DTLA from high above while enjoying a signature cocktail, such as, the Avant Gardener (which uses berries directly from the Ritz-Carlton’s own rooftop garden) and munching on mouth-watering bites designed by Puck! There will also be a selection of entertainment options throughout the summer including music and films! WP24 by Wolfgang Puck is located at 900 W Olympic Blvd, Downtown. If the ocean is calling to you, check out the High Rooftop Lounge. 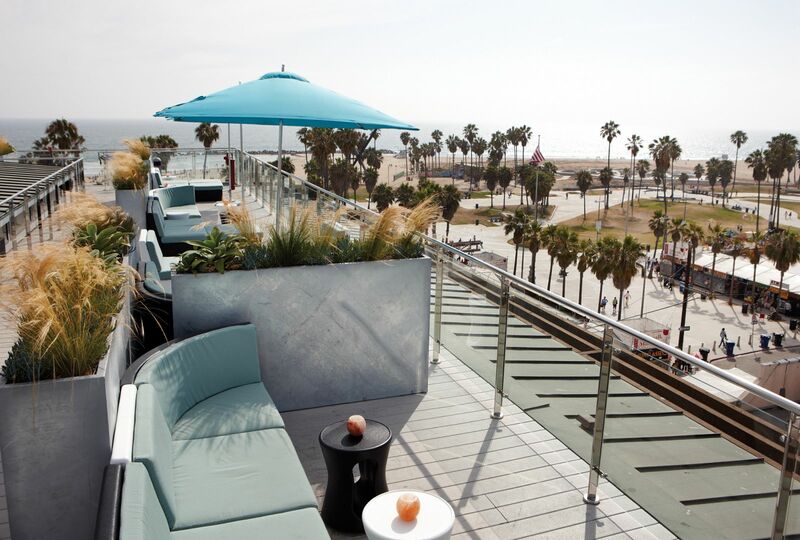 This hotspot has spectacular views of Venice’s urban beach landscape and the Pacific Ocean; you can even see up to the Santa Monica Pier! Indulge in locally-inspired fare and unpretentious, delicious mixed drinks to quench your thirst. Every night there is a DJ to give you the “party chill” atmosphere you’ve been craving! High Rooftop Lounge is located at 1697 Pacific Ave, Venice. 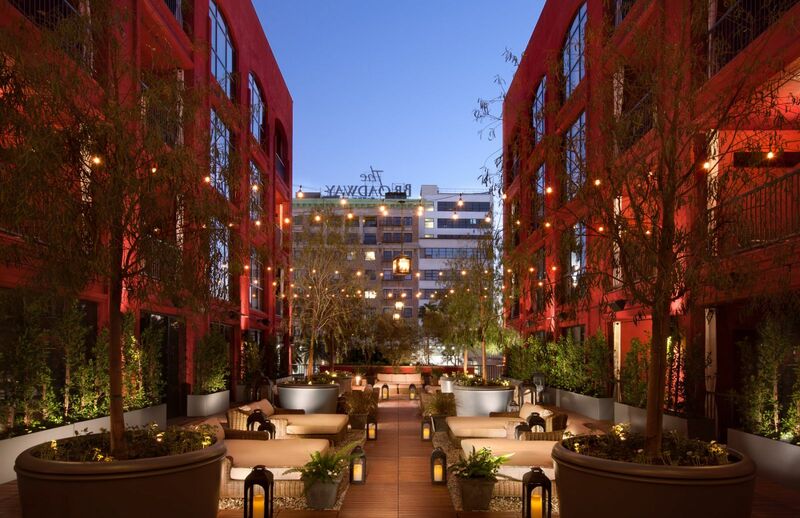 Considered a respite from the hustle and bustle of Hollywood, The Library at the Redbury Hotel features a spacious courtyard and plenty of lush foliage beneath twinkling Edison bulbs. There are plenty of cushy couches and chairs that are great for lounging while sipping drinks around a fire pit. Hit up their Social Hour (Tuesday to Saturday from 5pm to 7pm) where you can score deals on drinks as well as delicious bites from the hotel’s restaurant Cleo, including kebabs, shawarma, hummus and more! The Library is located at 1717 Vine St., Hollywood.